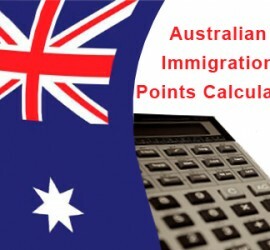 This entry was posted in Australia Australia Immigration Visa and tagged Australia immigration programs Australia Skilled Independent Visa Australia skilled nominated visa Australia Skillselect Australian immigration Australian Skilled Immigration Australian Skilled Immigration Points Calculator Immigrate and work in Australia Immigrate to Australia on March 18, 2015 by Blog Author. This entry was posted in Australia Australia Immigration Visa and tagged Australia Immigration Australia Skilled Independent Visa Australia skilled nominated visa Australia Skillselect Australian Skilled Regional Sponsored visa Immigrate to Australia on December 1, 2014 by Blog Author. 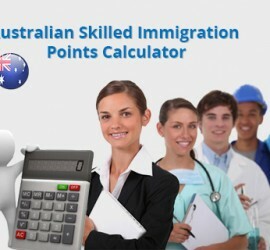 This entry was posted in Australia Australia Immigration Visa Australian Skilled Visas and tagged Australia points calculator Australia Skillselect Australian immigration Australian immigration points based system australian immigration points calculator 2014 Minimum points for Australian immigration 2014 Skilled - nominated (subclass 190) visa points Skilled independent (subclass 189) visa points calculator What is a skillselect Australia? on March 15, 2014 by Blog Author.